To me there is nothing like digging into a fresh, healthy salad – especially when it’s packed with flavor, nutrient-rich vegetables and the best part – there is absolutely nothing to bake. Enter Green Goddess Detox Salad. This healthy Green Goddess Detox Salad is a very tasty lunch idea that will take you only a few minutes to throw together. You can also add some grilled chicken if you want some protein. This detox salad has cabbage and broccoli as its base which are high in fiber and are great to get your body rid of unwanted toxins and bacteria. The cucumber is high in water and is great for moisturizing your skin. Avocado is also good for your skin and hair. 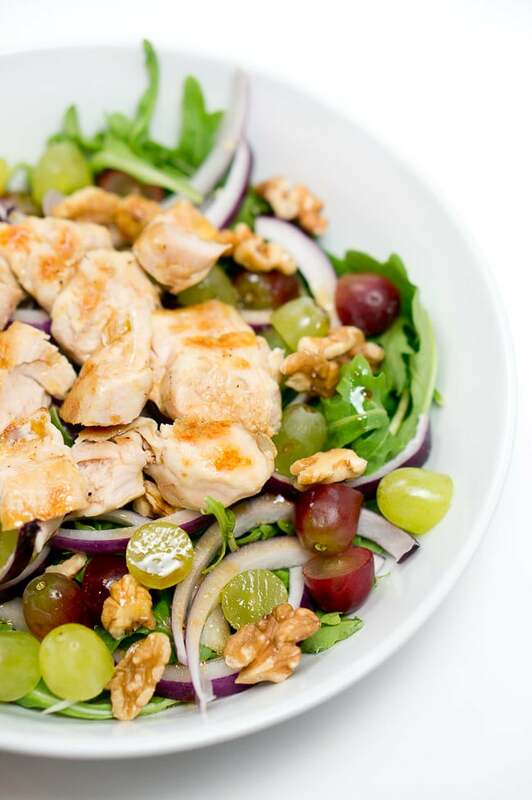 And the grapes add just the right sweetness to this salad. In fact, all of the ingredients featured in this Green Goddess Detox Salad will do your body good, and they’re really adding to the mix by giving you plenty of vitamins and minerals, and you’re not sacrificing taste so you’ll be more likely to eat it more often. Mash half avocado with a fork and add lemon juice and olive oil. Season with salt and freshly ground black pepper. Toss the first 6 ingredients in a mixing bowl and drizzle with the avocado lemon dressing. Enjoy! 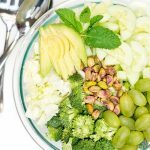 Green Goddess Detox Salad – so light, refreshing and yummy! Loaded with avocado, broccoli, cucumber, grapes, cabbage and a drizzle of dressing made with avocado and juice of lemon. Very healthy and filling! 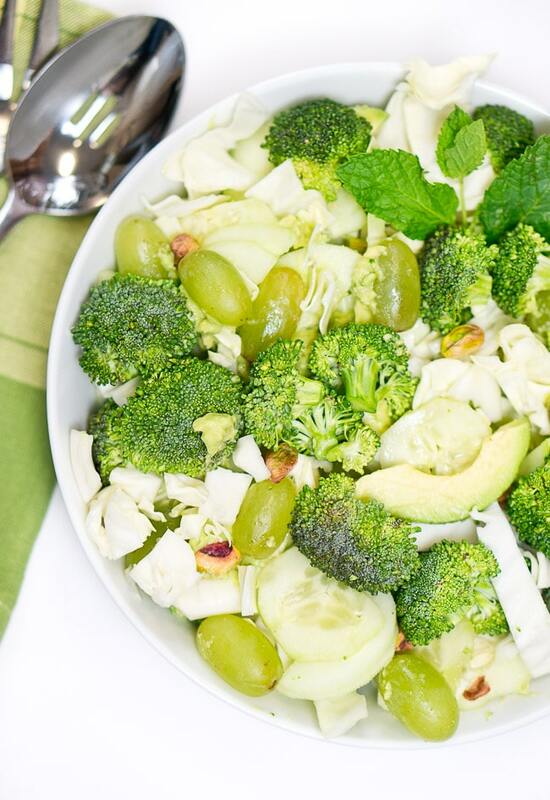 Green Goddess Detox Salad - avocado, broccoli, cucumber, grapes, cabbage and lemon juice. So light, refreshing and yummy! Very healthy and filling! Toss the first 6 ingredients in a mixing bowl and drizzle with the avocado lemon dressing. This is the perfect salad for weekdays! I’m always looking for new salad ideas for dinner during the week. Growing up I was always told that green is best when it comes to food! This looks absolutely delicious! This looks so tasty and healthy! I love salads like this and this one looks so good! I absolutely love avocado! This salad looks delicious and bursting with flavor! 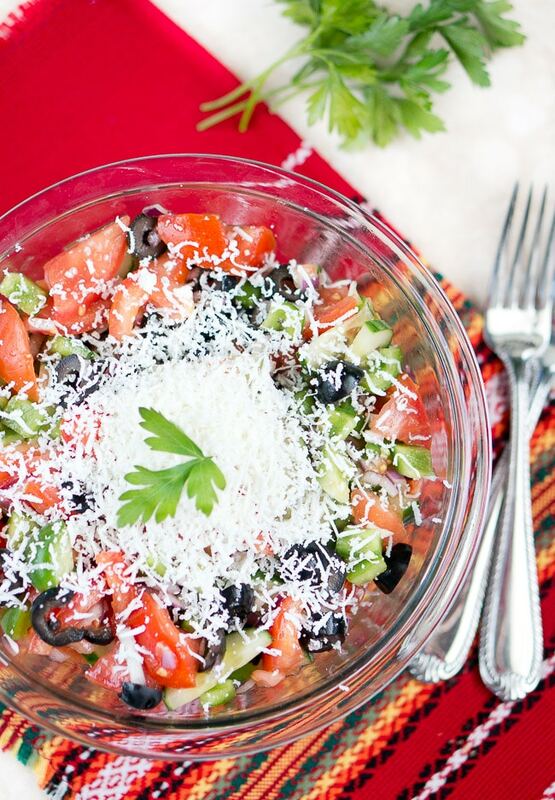 The combination of flavors in this yummy salad are spot on! This is a new go-to lunch recipe! This looks like my kind of salad! I love all of the bright green! This Detox salad looks like just the thing my husband and I need. The holidays have taken a toll on us. Yum’d to save for later this week. 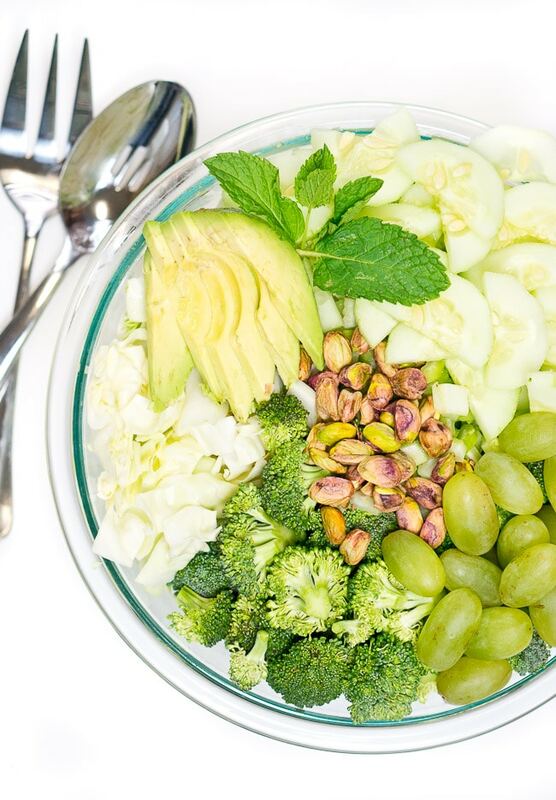 This green goddess detox salad is the perfect recipe for kicking off the year with more veggies. Such a delicious and healthy salad! I love your combo of sweet grapes into this mix – a definite must try soon! Oh my goodness! I love anything with avocado!